As Halloween season has finally come around, many avid Netflix viewers will be on the look-out for the SAW franchise, as it’s the perfect binge for October 31st. Luckily for torture fans, on the 12th of October, all the SAW films were re-added to US Netflix for your enjoyment. Back in 2004, the first film released and undoubtedly spawned a brand-new era of horror films. Many series, including ‘Paranormal Activity’ followed this new business strategy of pumping out as many films as possible, this, of course, is not always a bad thing, especially if you love whey they are giving you. The film took a lot of people by surprise due to its extreme gore and violence, partnered with the gritty, tight directing of James Wan, it was an instant success. The Jigsaw Doll riding a tricycle (pictured above) quickly became a Horror icon, and also a very popular Halloween outfit. Along with all the previous films, this Halloween also welcomes the cinema release of ‘Jigsaw’, the 8th movie in the SAW franchise. It’s been seven years since the release of the last SAW movie (The Final Chapter) and once again it seems like the sick acts of torture at the hands of John Kramer are back, even from beyond the grave. This time last year, none of the SAW movies were streaming in the US. On October 12th, however, all seven movies were made available in North America, we are going to look through each movie individually to see what other regions host the horror series. SAW (2004) is only available on Netflix US and Nordic regions. Saw II (2005) is available in some Nordic regions and Japan. Saw III (2006) is available in Japan and some Nordic regions. Saw IV (2007) is available on Nordic Netflix regions plus Japan. Saw V (2008) is available in some Nordic regions along with Japan. Saw VI (2009) is available in New Zealand, Nordic countries and Japan. Saw: The Final Chapter (2010) is available in Japan and some Nordic counties. Remember that titles come and go from different regions all the time on Netflix. 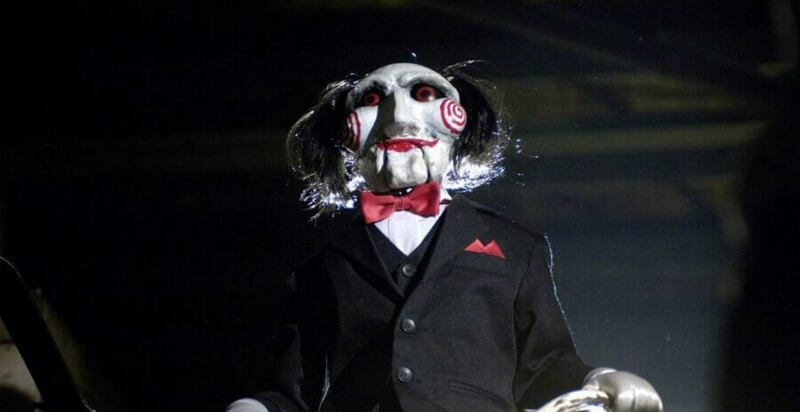 We will update this article if any significant changes happen to the SAW franchise. We have also compiled a complete list of horror movies on Netflix, along with a top 5 Netflix Original Horror Titles.